“Your prompt for January 18th, 2018, brought to you by the lovely Sandra, is “Revolt.” Use it any way you’d like in your post. And make sure you visit Sandra at her blog, “What Sandra Thinks” to read her post and say hi! 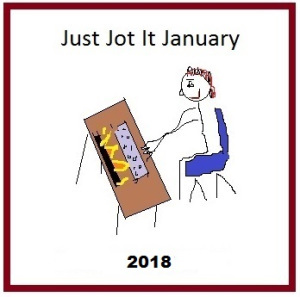 Here’s her link: https://whatsandrathinks.com/” (https://lindaghill.com/2018/01/18/jusjojan-daily-prompt-january-18th-2018/) These Jots are not only my 500-words a day challenge, but also part of my Ultimate Blogging Challenge challenge (http://ultimateblogchallenge.com). Revolt is an interesting word to choose as a theme for Just Jotting in January. I’m not really sure how I feel about this word, revolt, but let’s take a closer look at it. If I think about it for a minute, I would say you can revolt against something, like a rebellion, or a strike are kinds of revolts. Or something can be revolting, like slimy things, or raisins. Yeah, I don’t think of many things as revolting (well, there are some politicians out there right now I would call revolting), but raisins? They are just wrong. Anyway, the word “revolt” has the connotation of not liking something so much that you have to rebel against it, even if rebelling just means your stomach loses its contents. Or maybe you just don’t agree with something to the point where you have to try to stop it. Well, now what do I need to say? I don’t know that I have ever actually led a revolt against anything. Well, maybe kind of, but I don’t think it’s a good idea to talk about that here. After all, the Internet has ears. So to speak. I mean, not literal ears. Unless you count Siri. That chick is spooky. Anyway, leading a revolt sounds like a lot of work. Especially when you consider that revolts don’t always work. I mean, even if you “win”, how likely is it that things will just eventually go back to the way they were? People have revolted against the wealthy before, but look at how things are today. Are we waiting for the next revolt? Some people seem to think so. And revolts are typically violent. It’s kind of part of the definition of the word, as in “to try to remove the government of your country using force”. I sometimes think I should raise a revolt against those people who put raisins in their muffins. Yes, I’m back to raisins. Mainly because I am having a hard time today with this prompt. But there is nothing more revolting (see what I did there?) than taking a bite of a muffin, expecting no raisins (or expecting something different altogether) and getting a mouthful of raisins. Or cinnamon buns. Those are the worst. Why would anyone ruin a perfectly delectable cinnamon bun with raisins? Back in the days when I could eat glutinous food, I would have a cinnamon bun at work. This was back in the days I worked with friend Susan. She would remember well me piling up raisins on a plate on the days the buns had those revolting raisins in them. I could do nothing else. Eating them…well, just no. Kevin once bought a loaf of bread he thought was olive loaf. Turned out to be raisins. Nasty surprise for him, but he should have worn his glasses to the grocery store! He knows better now. Raisins are sneaky and pernicious. Yes, pernicious. Now THAT would be a good Just Jot prompt word! Beware of those pernicious raisins! Posted on January 18, 2018, in Writing and tagged JusJoJan. Bookmark the permalink. 15 Comments. I agree, raisins do not belong in bread! I will revolt! Now I want to watch it again too! Have you ever selected a chocolate chip cookie only to find the raisins were masquerading as chocolate chips? I have to admit I am on the other side of the issue here. I am voting for the raisins and seem to have a chocolate chip on my shoulder. Nothing worse than warming up a raisin bran muffin only to find out someone substituted gooey messy chocolate chips. A revolt on raisins! I’m in! I don’t really mind them, but can’t eat them anymore. There are tiny seeds in them (from the grape?) and I can’t eat any kinds of seeds. So, no more raisins! I can’t say I’ve noticed seeds, but then again, I never eat them! I don’t care for raisins in most things, especially cinnamon rolls. But I don’t hate them either. I live a good picadillo taco filling which-hold on to your shell-has currents in them, although I usually just use chopped golden raisins. I hate them in cookies-and cereal! Ugg. 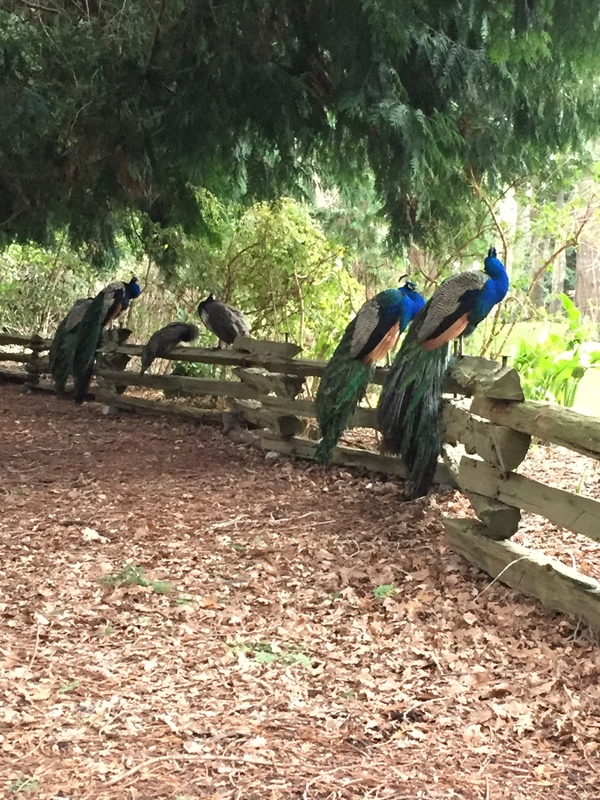 But a good granola bar can have one or two….ut peacocks, well they rule! The way you feel about raisins? That’s the way I feel about nuts ruining so many otherwise potentially delicious items. I like raisins, generally, especially golden raisins, but not when I am expecting a chocolate chip. It feels like such a betrayal! Do they call them sultanas in your neck of the woods? I saw someone use that term once in a recipe and had no idea what it meant so I had to look it up, lol.